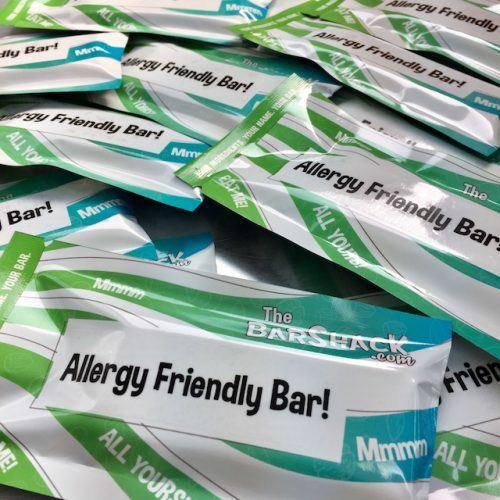 Today we made the ‘Allergy Friendly Bar!’. 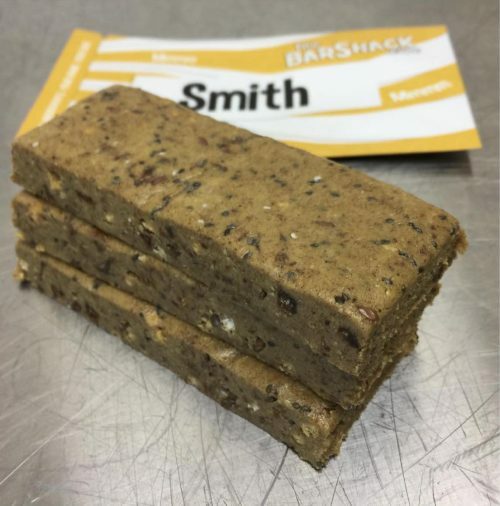 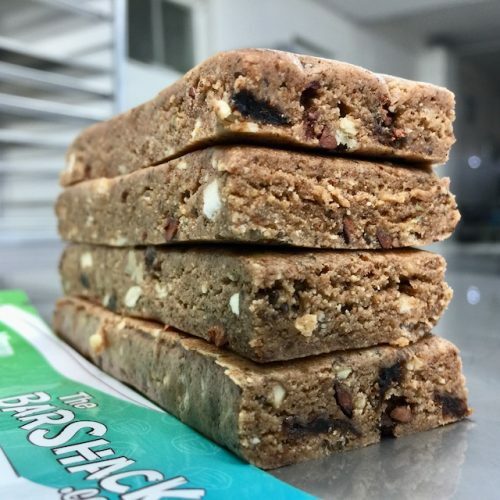 This customer chose the ‘soft & chewy’ base option with sunflower seed butter, fiber syrup, and brown rice protein, and date paste. 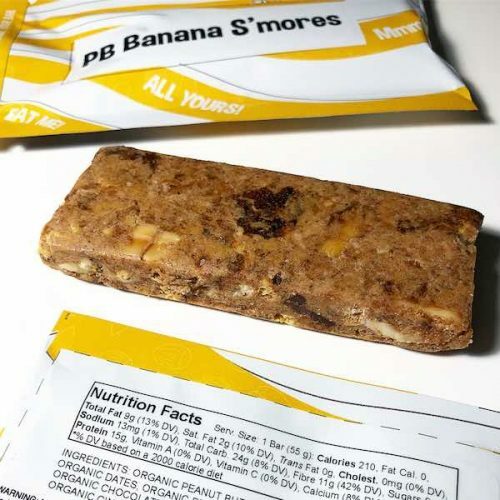 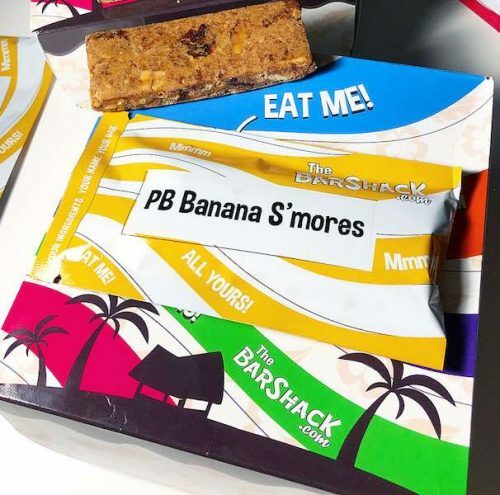 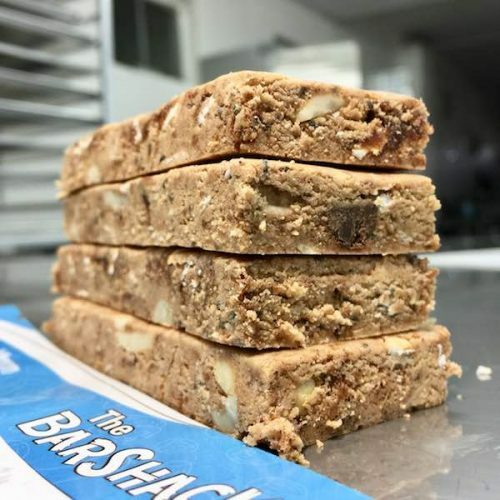 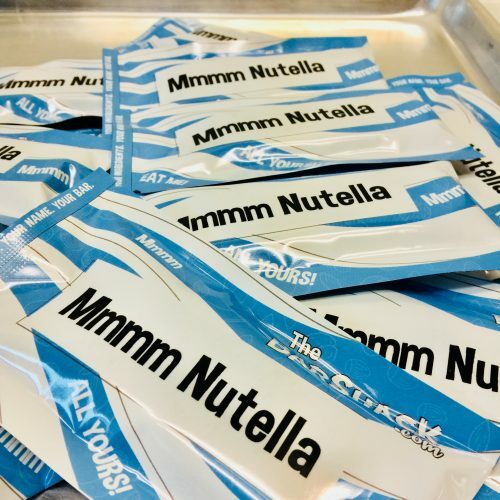 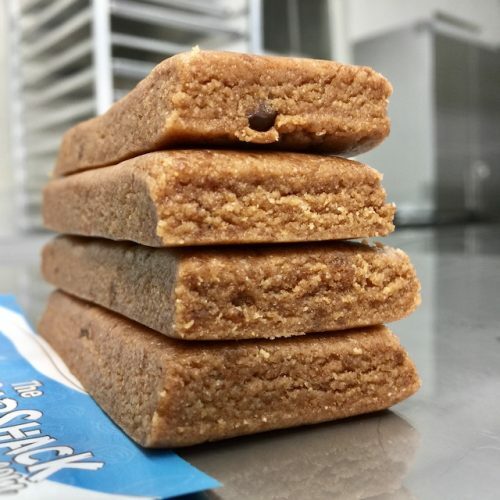 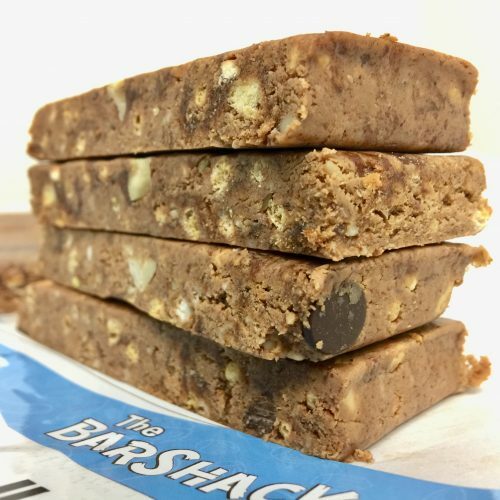 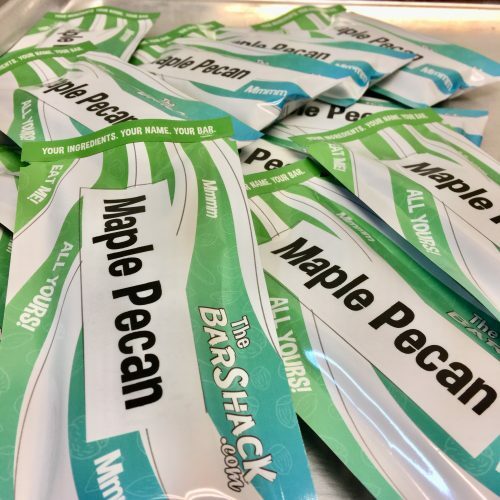 To make the bar allergen friendly, they excluded dairy, peanuts, and tree nuts– ingredients considered the ‘usual suspects’ when it comes to allergies and food sensitivities these days. 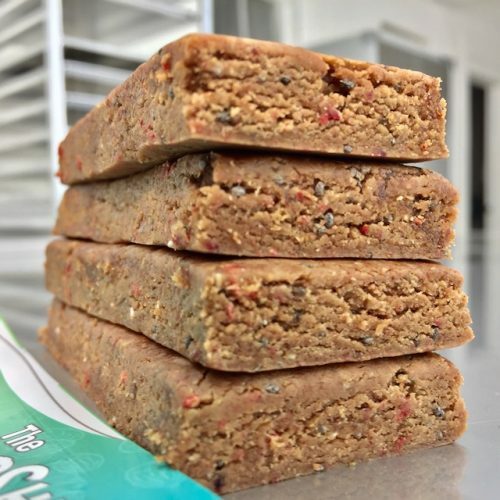 Additional ingredients in this recipe include chia seeds which increase the bars fiber content and add some omega 3 fatty acids as well as strawberries for flavor. 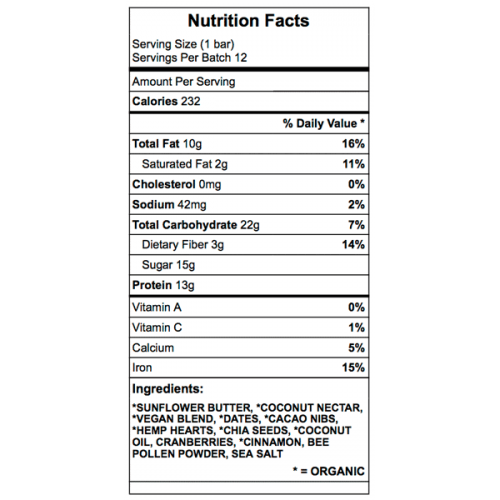 Cacao powder and vanilla extract were the final choices in this creation which blend nicely together. 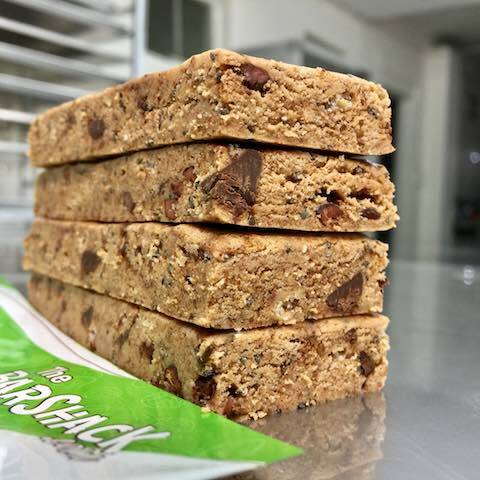 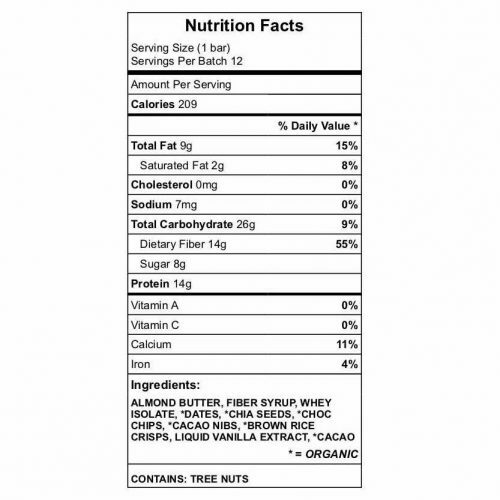 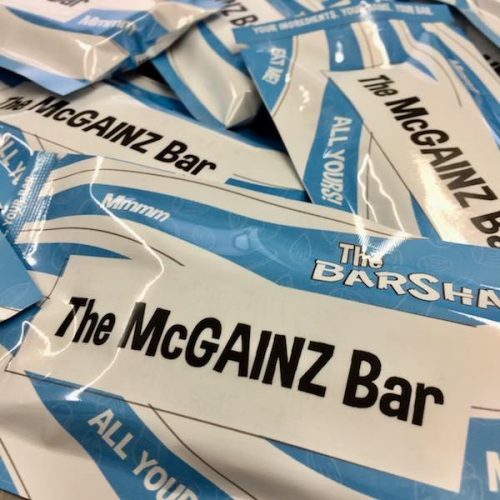 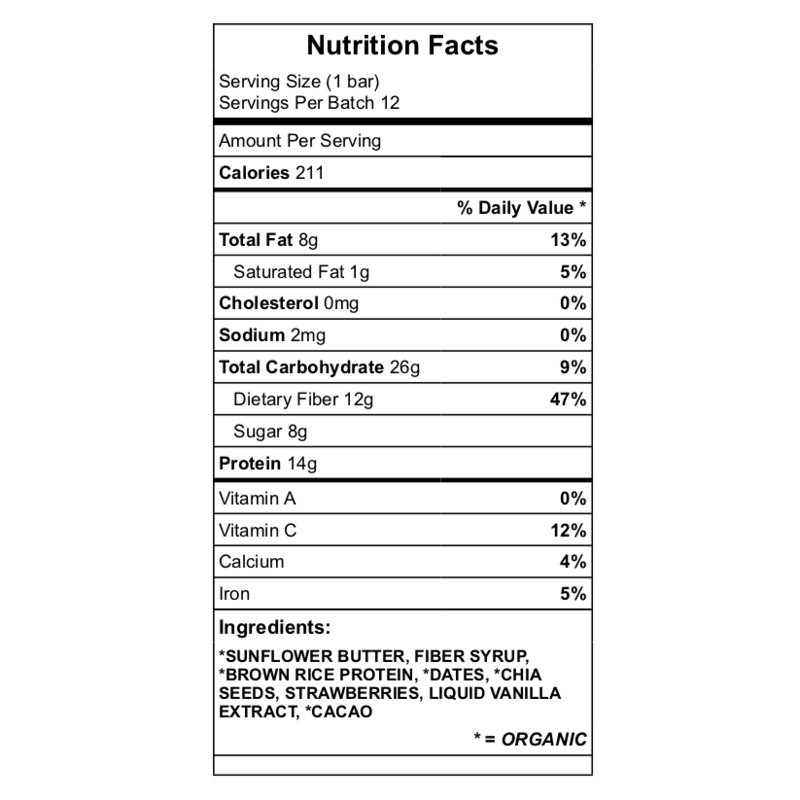 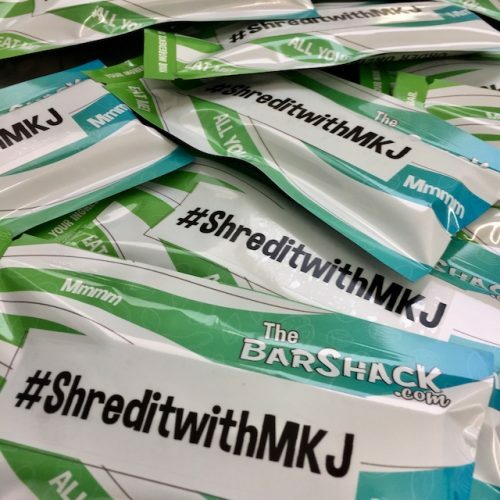 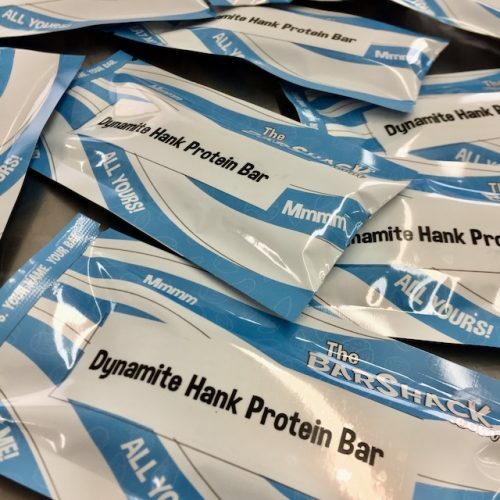 The Macros look like this for each 55g bar: 211 Calories, 8g Fat, 26g Carbohydrates (8g sugar/12g fiber), 14g protein. 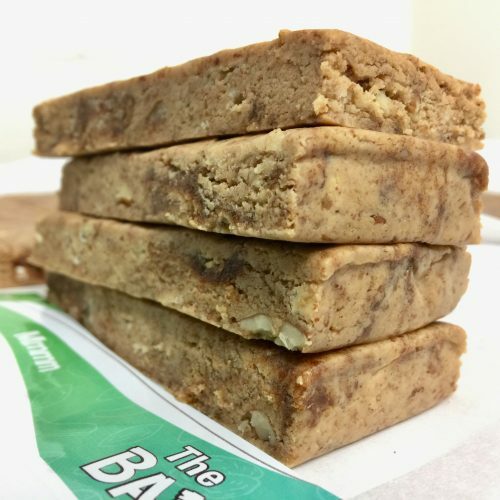 Overall, another very simple recipe with minimal ingredients.